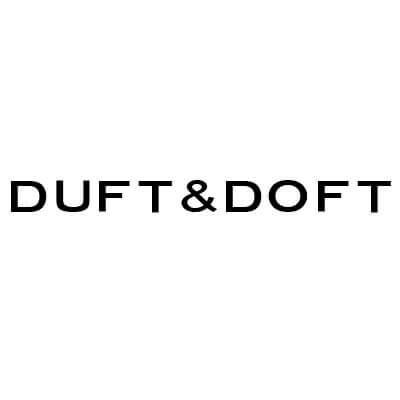 DUFT&DOFT Sophy Soap Hand Cream är en återfuktande handkräm. Doften är blommig med toner av ros. Krämen absorberas omedelbart på händerna. De blir mjuka och doftar ljuvligt. Water, Butyrospermum, Parkii, Butter, Butylene, Glycol, Parfum, Glycosyl, Trehalose, Hydrogenated, Starch, Hydrolysate, Paraffinum, Liquidum, Glyceryl, Stearate, Palmitic, Acid, Stearic, Acid, Oleic, Acid, Polysorbate, 60, Isopropyl, Palmitate, Dimethicone, Sorbitan, Stearate, Stearyl, Alcohol, 1,2-Hexanediol, Cetyl, Alcohol, Ulmus, Davidiana, Root, Extract, Amaranthus, Caudatus, Seed, Extract, Phenoxyethanol, Ethylhexylglycerin, Euterpe, Oleracea, Fruit, Extract, Glycyrrhiza, Glabra, Root, Extract, Portulaca, Oleracea, Extract, Sodium, Hyaluronate, Soluble, Collagen, Aloe, Barbadensis, Leaf, Juice, Xanthan, Gum, Cnidium, Officinale, Root, Extract, Pueraria, Thunbergiana, Root, Extract, Paeonia, Lactiflora, Root, Extract, Glycerin, Piper, Methysticum, Leaf/Root/Stem, Extract, Hydrogenated, Lecithin, Carbomer, Beeswax, Sodium, Hydroxide, Oxygen, Lilium, Candidum, Flower, Water, Agave, Tequilana, Leaf, Extract, Tremella, Fuciformis, Extract, Tocopheryl, Acetate, Benzyl, Salicylate, Linalool, Limonene, Alpha-Isomethyl, Ionone.